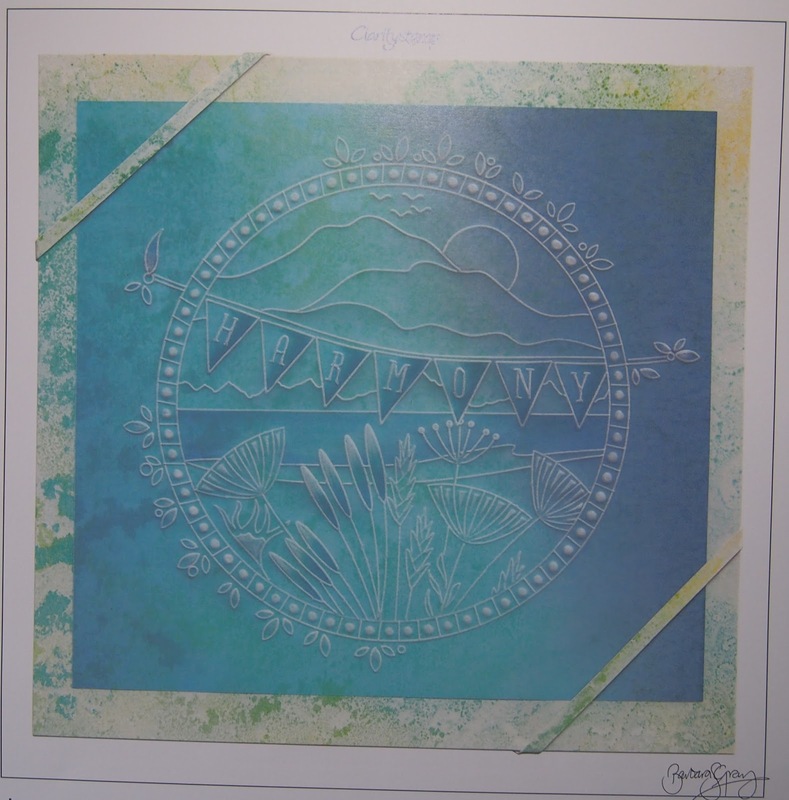 This months calendar challenge is entitled HARMONY with a beautiful parchment piece from Barbara for the month of June. Historians believe that parchment craft originated as an art form in Europe during the 15th or 16th century. Parchment craft at that time occurred principally in Catholic communities where crafts persons created lace-like items. Although the invention of the printing press led to a reduced interest in hand made cards and items, by the 18th century, people were regaining interest in detailed handiwork. Parchment cards became larger in size and crafters began adding wavy borders and perforations. In the 19th century, influenced by French romanticism, parchment crafters began adding floral themes and cherubs and hand embossing. 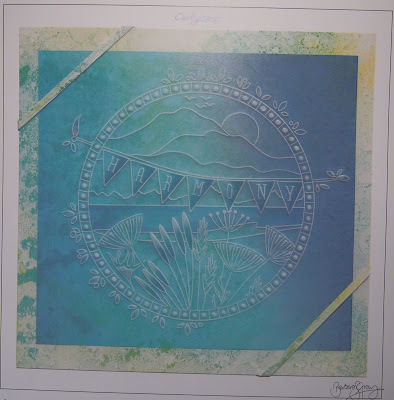 The introduction of the Groovi system has opened up this art to a wider audience as the plates are etched in a way that you cannot go through the parchment. For most traditional parchers this is the most difficult part and has put a lot of people off this art at that point. So this month is your opportunity to hone those skills you may already be exploring or for those of you who have not tried to be bold and have a go - perhaps you have a friend or relative who has the plates that you can lend so that you can have a go? The Groovi system is easy to use and brings this traditional delicate craft in to the modern world - don't forget to look in the Groovi Section on the web site for the vast array of plates, tools and the very recently added lightwave box and coloured parchment.